Click and drag this link to your browser toolbar: Shop Hoagies' Page or Amazon. Then click on Shop Hoagies' Page or Amazon on your toolbar before you do your regular internet shopping. Voila! You're supporting Hoagies' Page. PC Security complete steps to make your PC safe! Also visit Gifted Community Announcements! Twice Exceptional Gifted. LGBTQ Gifted. Late Blooming Gifted. Learn more about these special gifted populations! Gifted is a severe minority population, consisting of between 2.5% and 10% of the population, depending on which definition you subscribe to. Gifted individuals are often marginalized, said to "have too much" or to "need nothing." But what if your child (or you) are a minority of a minority, a twice exceptional gifted child, a gifted late bloomer, or a gifted LGBTQ individual? Each of these is a marginalized population, and minor subset of an already marginalized minority population. Don't miss our previous Blog Hops on related topics, including Blog Hop: 2e Kids, and Blog Hop: Ages & Stages Redux. Don't miss our previous Blog Hops on related topics, including Balancing Boredom & Burnout, Mysteries of the Brain and Giftedness: Just the Facts. Role models, at every age and stage. Who are your role models? Who might make a good role model? Why, or why not? Why do we need role models anyway? If we don't have good role models, will we automatically pick bad ones? Don't miss our previous Blog Hops on related topics, including Multipotentiality and Relationships. Perfectionism. What is it? What does it look like? What can we do about it, as parents? As perfectionists? Or is it a good thing? Perfection? Is this a goal, or something to avoid at all costs? Will it challenge you or stifle you? How can we help others who struggle with perfectionism? Our kids? Come to think of it, how can we help ourselves first? Don't miss our previous Blog Hops on related topics, including Overexcitabilities (OEs) and Overthinking. Who are they? How do you identify them, or are you misidentifying them? What does underachievement mean to you? Is it the gifted child who refuses to achieve in school? Is it the child who writes amazing stories, perhaps books, but refuses to write his 5-paragraph essay homework? Is it the gifted adult who never got a college degree? The lawyer, a member of the bar, respected in their practice, who chooses to stay home and raise their children? Once defined, what can you do as the parent of an underachiever? As the underachiever yourself? Read these great blogs to understand underachievement, and perhaps to find a few ideas, a few suggestions, a tidbit that will change the tide. What does your Utopian Fantasy look like? Would you be alone? In a community? Would there be books? music? nature? cities? huge intricate libraries?? Or would it be the life you live today? Relationship Issues. Gifted relationship issues can occur in any and every generation. Are you struggling with gifted sibling problems? Parent / child relationship issues? How about parent/child issues, when both are adults and one is now a gifted elder? Gifted in-law issues? They really do mean well. And often the most difficult relationships, gifted co-parent issues. There are so many relationships in our lives. How can we do better with our gifted relationships? Join those of us who've been around the block for a while, to learn what we wished we'd known! Wish you'd done something differently? Glad you did something you did? Not sure what would have been better, but you'd love to arrive at today in a different set of circumstances? Hindsight isn't always 20/20, but it certainly doesn't hurt! Don't miss our previous Blog Hops, including Gifted 101, and Educational Options. That's what all those gifted kids grow up to be! But what does it mean to you? When does it matter? College? Early Adulthood? Family years? Middle-age? Elder years? What else do we need to teach them, other than academics... at every age! Going to school? Going to college? Can they do their own laundry? Balance their checking account? Can they advocate for themselves with teachers and professors? Do they know how to handle a credit card? There will be plenty of offers, and plenty of kids get into trouble with their first venture into personal credit. What else do they need to learn? And how can we teach them?? Do your gifted kids struggle with getting to sleep? Staying asleep? Does your infant or toddler spend more hours awake than you do? Many parents find that gifted kids sleep far less than their same-age counterparts. And yet, a few gifted parents report their kids sleep more than average, and seem to require more hours of sleep than the nighttime allows. Any of these issues can make us feel alone, and often make us feel exhausted! What's worked? And what about Gifted Adults' sleep? Join us to read lots more sleepy ideas! Don't miss our previous Blog Hops, including Overexcitabilities (OEs), and Asking for Help. The Misdiagnosis Initiative. Founded by SENG, the Misdiagnosis Initiative reduces the risk of medical misdiagnosis of gifted individuals, whether a twice-exceptional child whose giftedness is overlooked due to their disability – or vice versa. Is your child "just" gifted, or twice exceptional? Does the diagnosis he's received make sense with the boy you see every day? Does the lack of a diagnosis make sense with the girl you love and live with? Gifted kids can be misdiagnosed. Some are diagnosed as having learning differences such as ADHD or High Functioning Autism, but are really just gifted, or bored and gifted kids. Others are not diagnosed, when they struggle with Executive Functioning (EF), social skills or other learning challenges. Don't miss our previous Blog Hops, including 2e Kids, and Gifted Advocacy. Two years ago, we discussed many of the stages; today we discuss a few more. Gifted kids give us a run for our money, no matter how old they are, or what stage they're in...this week. Whether you're dealing with the toddler "little lawyer" who doesn't miss a trick, or the high schooler looking towards dual enrollment, middle-age however you define it, or gifted elders, the Ages and Stages of giftedness are never boring. Creativity and Productivity. Gifted individuals frequently need to move beyond the rules. We play a game (or we play at life) with normal rules once, and then the rules need to be changed, expanded, adapted because they have this need to be part of the process, never just accepting what they're given. It's when they have choices A, B, & C and instead have to come up with option D mixed with a bit of F, since simply accepting or going along with someone else's point of view would be unthinkable. What does Gifted Creativity and Productivity mean to you? Don't miss our previous Blog Hops on related topics, including Blog Hop: Multipotentiality and Blog Hop: The "G" Word. Philosophical/Spiritual Anxiety. Asynchronous development means many gifted kids understand the finality of death and the afterlife before they're emotionally ready to handle it. It means the news is devastating because our kids (and us, as adults!) are understanding too much and struggling with the weight of the world. Gifted kids are often unwilling to believe in mythical creatures - Santa Claus, the tooth fairy, the Easter Bunny, and others. As adults, Philosophical or Spiritual Anxiety may lead us to spiritual quests, seeking spiritual communities, and suffering / enjoying spiritual sensitivity. What does Philosophical and/or Spiritual Anxiety mean to you? Don't miss our previous Blog Hops on related topics, including (regular) Anxiety and Emotional Intelligence. Gifted Elder Issues. Sometimes called the "sandwich generation," gifted adults often find themselves dealing with their gifted kids' issues on one hand, and their gifted parents' issues on the other... eldercare, retirement communities, and lots more. Or perhaps you *are* a Gifted Elder, dealing with medical, residential, and other issues facing gifted elders? How do you deal with Gifted Elder Issues? What unique options are available to you? Don't miss our previous Blog Hops on related topics, including Multipotentiality and Summer Reading. Balancing Boredom and Burnout. Gifted kids need variety and challenge, but they need "down time," too. How does your family balance that fine line between too many activities and not enough? Is there a magic formula that works for you? How about in the classroom? How do you, as a teacher, advise gifted kids to slow down and "smell the roses," rather than fill thier days with Academic Team, school play, choir, band, orchestra, sports...? Traveling with Gifted Kids. Traveling with kids is always interesting. Traveling with gifted and intense kids can be even more... interesting. Where to go? How to integrate with other families? How to deal with OverExcitabilities while traveling, theirs and yours? Don't miss our previous Blog Hops on related topics, including The Gift of Free Time and Gifted @Play. Overthinking. The gifted girl who "fails" the school's IQ screener, because she over-analyzes the multiple-choice questions. The gifted boy who focuses on the "letter of the law" in each of the teacher's assignments, and then gets in trouble with the teacher for not following the "spirit" of the assignments. The gifted child who cannot get started on a long-term project because he can think of all the time and energy and complicated steps that might need to be taken, and cannot begin because of it. What can you do if you find yourself, or your kids, overthinking? How can you get away from it? Don't miss our previous Blog Hops on related topics, including Gifted, How? and The "G" Word. Multipotentiality. Gifted kids often have multiple strengths, and find themselves pressured to succeed in more than one area. The gifted child may be as talented at writing as at math, or may be as focused on the sciences as on history. But schools and colleges often expect kids to "settle down" and select one area of achievement. What do we do when our kids (or we) want to achieve in more than one (or two) area? Educational Options. From public school to private school, homeschool to unschooling, distance learning to mentors and tutors, there are nearly as many educational options as there are gifted children. And that's good news! When we're in the throes of an educational misfit, it's sometimes difficult to see what our options might be. Join us this month to discuss many of the options that have worked for other kids, and the combinations and alternatives that can help YOUR gifted child! Don't miss our previous Blog Hops on related topics, including Acceleration and Gifted Social Issues. Executive Function Skills. We all want 'em, but who's got 'em? How did we grow them? And how can we shared them with our gifted, organizationally challenged gifted kids?? Join the Hoagies' Gifted Blog Hop team for lots of great ideas, whether your gifted child is a preschooler or a post-schooler (a.k.a. adult). You can always improve Executive Function Skills! 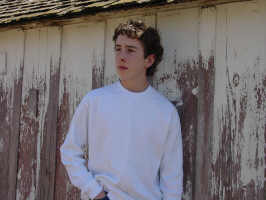 Don't miss our previous Blog Hops on related topics, including Anxiety and Gifted social issues. December 2016 Blog Hop: Child Activists - Supporting Gifted Idealist Children! You know the child who runs a bake sale to save the tigers, or the child who collects PCs and refurbishes them to donate to low-income families, or the child who raises money to provide solar chargers to remote villages in other countries... How do we support our budding idealists? How do we guide them, and take there concerns for real? This is the best gift we can give them! November 29 2016 Support Hoagies' Gifted on #GivingTuesday! In honor of #GivingTuesday, make your donation to Hoagies' Gifted, Inc and support our mission to support gifted individuals, their families, and the professionals and organizations that work with them. Donate through PayPal now. To some of us, this means everything, the all-encompassing social/emotional development of the gifted individual. To others, it means nothing except an excuse schools use to decline to educate our gifted children, ignoring their academic needs as an aside. What does Emotional Intelligence mean to you? Read this month's blogs and I'm certain you'll find one or many that resonate with you. Grade Acceleration / Early Kindergarten / Early College. What is grade acceleration? Is it "skipping" or simply aligning the child's learning and social levels with the curriculum and classmates? From Early Kindergarten through Early College, what forms of Grade Acceleration have been proven effective, in research and in practice? And what are the negative sides to grade acceleration? No change in placement is without risk. Learn more here! Don't miss our previous Blog Hops, including the original Acceleration and Gifted Advocacy. Gifted social issues, including friendships, bullying, understanding introverts, finding intellectual peers, and anything else you would like to talk about concerning the social issues surrounding giftedness at every age. Don't miss our previous Blog Hops, including How and When to Ask For Help, Gifted Relationships and Gifted Self-Care. All things Science! Summer is a great time for playing around with science. What are your favorite approaches to hands-on science? Curriculum? Enrichment? Reading? STEM? STEAM? Robotics? Let's talk science! Don't miss our previous Blog Hops, including Blog Hop: The "G" Word and Blog Hop: Summer Reading. Giftedness in popular culture, positive & negative. Why are your favorite role models? Least favorite? Resources? What would you rather see? This month we gather on Forming Gifted Groups, for young and old, for parents and individuals...so many questions along the way. Why do we need them? How do we form them? How can we maintain them, and keep them positive and forward-thinking? Gifted support groups. They ARE all their cracked up to be! What gifted groups would YOU like to be a part of? Don't miss our previous Blog Hops, including Gifted Relationships and Asking for Help. March 2016 Blog Hop: March Math-ness! Don't miss our March Math-ness! Math. The subject that excites or strikes fear, engaging our imagination or making our eyes glaze over. Join us this month for a smorgasbord of Math, from our favorite curriculum and enrichment sources, to our most challenging math moments. Math phobia to Math frenzy, this month has something for YOU! Don't miss our previous Blog Hops, including Acceleration and Anxiety. Other Achievement: when your child doesn't achieve where you hope. Call it underachievement. Or non-scholastic achievement. Or scholastic non-achievement. What is a parent or teacher to do when the gifted child they know and love isn't accomplishing in school what we know they can? And other achievement isn't just about gifted kids... what about gifted adults? Gifted elders? We all achieve, but it's not always what others are expecting! Don't miss our previous Blog Hops, including How and When to Ask For Help and The "G" Word. Surviving the Holidays with a House Full of Gifted Folks! The winter holidays bring school breaks and family time, and we love the hours spent with our friends and relatives and all the kids. But sometimes... those large gatherings in small spaces bring along stress. And while this was written for the (Northern Hemisphere) winter holidays, these great hints will serve you as well in your summer family picnics, spring and fall celebrations, and winter holidays, no matter what time of year they occur! Don't miss our previous Blog Hops, including Holiday Gifts: Bye-Bye Buy-Buy! and Overexcitabilities (OEs). Giftedness looks unique across the lifespan, yet most of what you find on the subject addresses the K-12 school years. But are we any less gifted as toddlers? As adults? As parents? As senior citizens? Giftedness affects every part of our human development. Join us to explore those ages and stages! How and When to Ask For Help. So many things happen with our gifted kids, students, older family members, and even ourselves, that make us think, "Is this normal?" Good question! When should we ask for help, and when should we just "let it ride..." And how and where and to whom should we, could we, ask for help? Fall Sale -- Any Booklet $11. Take advantage of our Fall Sale on Spotlight on 2e Series booklets. Through September, any booklet in the series is just $11 (plus shipping). 10 booklets in the series cover topics such as giftedness and ADHD, giftedness and Aspergers, giftedness and dyslexia, and more. Also in the series: a twice exceptionality "primer" booklet for parents and one for educators. OverExcitabilities. Dabrowski called them over-stimulabilities, and now we call them OverExcitabilities, or OEs, for short. They're that over-reaction that gifted folks often have, in one or more of the 5 areas Dabrowski identified: psychomotor, sensual, imaginational, intellectual and emotional. How do these OverExcitabilities affect your life as a gifted person? Your kids' lives? Your life as the parent of a gifted child? How can we help our kids understand and appreciate their own OverExcitabilities while still living comfortably in the world around them? Gifted 101. We were all beginners at one time or another, whether as parents discovering our kids' giftedness, or as adults discovering our own giftedness.. We welcome you to the gifted community with the advice we wish we'd heard during those first days, weeks, months and years! What do you know now that you wish you knew then? What's the best (and worst) advice you received? Gifted Relationships. How does giftedness affect our kids relationships, with their peers and teachers, with their siblings, with their parents and grandparents? Do gifted kids prefer real life or online relationships? Why? And how does our giftedness affect our relationships? More than we'd like to admit! 2e kids. Twice Exceptional. Dually Identified. No matter what you call them, gifted kids with another struggle are more than twice the challenge; they're more like challenge squared. Bloggers, join Hoagies' Gifted Blog Hops! Our upcoming topics are posted, and we're always looking for new bloggers. Join us on June 1st for The Gift of Free Time, July 1st for Relationships!, August 1st for Gifted 101, and September 1st: OverExcitabilities (OEs). By then we'll have the fall topics announced, and even more exciting Blog Hops for bloggers to join. We'd love to have you! 2e kids. Twice Exceptional. Dually Identified. No matter what you call them, gifted kids with another struggle are more than twice the challenge; they're more like challenge squared. Can you imagine a gifted mind, trapped inside a body that doesn't conform to the expectations of school, family, or society? As challenging as this might be for parents and teachers, the biggest challenge may be internal to the 2e child herself! How can you identify the 2e child? What flavors of 2e kids are there? How does the 2e child fare in traditional school? In homeschooling? What tips and tricks help the 2e child, their parents, teachers, and other professionals, to accomplish all that they are capable of without frustration and struggle? Academic Acceleration is not just about speeding up. Acceleration is about speeding up the curriculum to meet the child's needs. It's about schools teaching the gifted. And it's about homeschooling, sometimes when all else fails. Visit Blog Hop: Acceleration and look at gifted academic acceleration, from the perspective of parents, teachers, and kids in school and homeschool... you may be surprised what you learn! Is dinner an electronic affair at your house? Try TableTopics. In topics from Family to Infomania, Couples to Teens, and more, they're quick and easy conversation starters, helpful with gifted kids, teens, and even twice exceptional kids. Gifted Testing. What is it? Why should we do it? What are the best tests to use? What do the results mean? And most often asked... How can I prepare my child for Gifted Testing? Visit Blog Hop: Testing and learn about testing from every perspective: parents, teachers, gifted kids, gifted coordinators and more! Testing is a topic that strikes a chord with just about everyone... mostly dissonant. Learn about testing from those who know it best... and those who've decided against it. Gifted testing, achievement testing, twice exceptional testing, and more. January 2015 Hoagies' Gifted, Inc. is now 501(c)3 Non-Profit! Your donations are now (U.S.) tax deductible. Please consider Hoagies' Gifted Education Page when planning your donations. Thanks for your support! December 2014 Shop Hoagies' Page and Support us while you Shop! It's only YOU! Hoagies' Page depends on you for its support. Please make your purchases through our affiliates programs: click on Amazon, MindWare, Barnes & Noble, and dozens of affiliates before you put your items in your shopping cart. And it's FREE for you. Thanks! Better yet, drag and drop this link >> Amazon << to your browser toolbar, and click here the next time you want to visit Amazon... and you'll automagically support Hoagies' Page every time you shop! What traditions will your kids remember next year, in 20 years, for a lifetime? Will he remember the piles of presents, or that Grammy and Grandfather took all the grandkids to the theater every holiday? Will she recall that "perfect gift" you bought for her when she was 3, or 10, or 16, or will she remember the year Daddy's gingerbread house was a train station with the town clock on top (it's always 5 o'clock somewhere! ), or the year she created a wonderland gingerbread castle that looked a little like Hogwarts, in red and black on a shimmering lake of silver nonpareils? December 2014 Blog Hop: Holiday Gifts: Bye-Bye Buy-Buy! How can we "do" the holidays without the kids' chorus of "Give me, give me"? How can we ignore the ads and the stores and the constant bombardment that the less we spend, the less we love our loved ones? What options are there for our gifted families? Visit Blog Hop: Holiday Gifts: Bye-Bye Buy-Buy! and read all the great ways to care for ourselves, whether we're parents, teachers, or gifted adults and kids! Please be sure to adjust your own mask before assisting others. It's good advice, good advice that we rarely listen to in our own lives. Are you the parent of a gifted child? Are you overwhelmed, exhausted, or just plain "spent," trying to keep up with your own life, and your kids? Put on your own oxygen mask before attempting to assist those around you! But what does this mean?? Self-care is not only important for us, but important to teach our kids. And remember, they learn first by seeing... Seeing us take care of ourselves! Visit Blog Hop: Gifted Self-Care and read all the great ways to care for ourselves, whether we're parents, teachers, or gifted adults and kids! We find ourselves advocating for our gifted children in many places. We may be in school, talking to the teacher and administrators; we may be advocating with our pastor or our neighbor, in the grocery store line or at the soccer game. We may find ourselves advocating for ourselves, as gifted adults. Gifted advocacy comes in many colors and flavors... where do you find yourself advocating? Start with Hoagies' Nibbles and Bits: Gifted Advocacy... the Story of My Life, and check out our new "Next Blog" feature... just click the button to Hop from blog to blog! Join Hoagies' Gifted Blog Hop! E-mail us at HoagiesGifted.org. Write your blog post on the month's topic, and schedule your blog post to publish at 12:01 a.m.(0:01) on the date of the blog (the first of the month). Submit your permalink, provided by your blog software, and the text of your blog by the 27th of the month before the Blog Hop. We'll send you the month's link and graphic to add to the bottom of your blog to link it into the Hop. Voila! You're in our Blog Hop! September 2014 Blog Hop: Gifted, How? Gifted, How? The different faces of giftedness. The creatively gifted, the math gifted, the chess kid, the twice exceptional child (also known as 2e, dually identified, or gifted & learning disabled), the introvert and the extravert, the writer, the comic book author, the programmer, the easy-going and the anxious. All gifted kids (and adults) don't all look alike! What does the face of giftedness look like to you? Friendship. One word that has many meanings. For most kids, friends are those they play with. But for the gifted child, friendship is often far more than that. Gifted friendships can be more complex, more deep, and more difficult to find. Visit our blog hop, where we take on Gifted Friendships, charting the waters and traveling the seas as they affect gifted children and adults! Get a phone call from Microsoft? Do NOT do anything they say! They are not Microsoft, and the things they ask you to do on your computer open you up so they can remote control your computer and steal your identity! Run Malwarebytes' Anti-Malware (free for home use) at least monthly, along with your anti-virus program. Follow the instructions in PC Security to install the free version, or purchase the inexpensive paid version of Malwarebytes' Anti-Malware that runs itself! Visit PC Security for more ways to keep yourself safe and secure! This year's malware isn't just attacking our PCs. It's attacking our Routers! You must change your router's administrator ID and password from the default provided by your Internet Service Provider (ISP) or router manufacturer. Without this change, anyone can access your router from anywhere on the internet and change services, such as redirecting your access through their server and stealing all your ids and passwords! Change your wireless access password, and change your password type to WPA2. Verizon users: the default wireless access password that came with your service and is printed on the sticker on your router may be easily calculated from the name of your router - there's an Android app! This means anyone can pull up outside your house and sign on to your router using your service. And you're responsible for anything they do! Don't miss Go out and play. Go Geocaching! in Hoagies' Nibbles & Bits. Come play with us! What do you think of when you hear Gifted @Play? Gifted kids, adults or families? Playing board games, playing outdoors, "playing" with others, using game theory? Gifted adults playing through performance? Board games? Music? Play means so much, and is something different to everyone. Visit Hoagies' Page June Blog Hop: Gifted @Play! Join us on our inaugural Hoagies' Gifted Blog Hop! Bloggers from all corners of the gifted community--parents, teachers and counselors--join us to share their perspectives. This month's topic: The "G" Word. Gifted. What does it mean to you? What does it mean to others? Is it good? Is it bad? Should we use it? Change it? Read on to see what this month's Hoagies' Gifted Blog Hop bloggers think and feel! Thanks to all our bloggers for opening up this conversation. Analytical kids will do the environmental math about driving to the gym to exercise on machines and point out the irony. Justice-seeking kids will do the ethical math about the unfair effects of buying quinoa from poor Peruvians and refuse to eat the grain, or read this January 2014 Slate article and resume eating it. Well-read kids might point out that participation in organized sports will not address the root causes of the gargantuan health and wellness problems facing first world people today–problems like obesity, cancer, diabetes, and heart disease. Parents, Dawn Mollenkopf and Jude Matyo-Cepero at University of Nebraska Kearney are looking for you! "Help us gain information from parents firsthand about their children’s experiences so we can learn how to improve learning opportunities and resources for them." Sale! Prufrock Press Spring Sale. Books for as little as $0.99. Use HOAGIES code for an additional 10% off! April 2014 Gifted Conferences and more, U.S. and world-wide! Visit for more Myths, Arguments and Red Herrings! Free 6-unit education program in giftedness, including essential information a teacher needs to understand the nature of giftedness and talent; what the terms mean; levels and types of giftedness; subjective and objective identification procedures; social and emotional characteristics and needs of gifted students; underachievement; teaching strategies and methods of curriculum differentiation to enhance the learning of gifted students in the mainstream classroom; practical strategies for the establishment and monitoring of ability, achievement or interest grouping in classes, and the many forms of accelerated progression through schooling. Available online once again! Malware attacks on our PCs are heavy this week. Use these instructions for cleaning up (or keeping clean, if you're not already infected) your PC for free. Already running a package product such as Norton or Trend Micro or Kaparsky? You are NOT safe! You still need to run a AntiMalware scans on a regular basis. You will be SHOCKED how much malware and spyware it will find, in spite of a clean bill of health from your antivirus product. Visit PC Security and run free AntiMalware scans today. Every child and adult should understand that they are leaving a digital footprint, a collection of information and data about themselves available freely on the internet, recorded forever in the public memory. What is in your digital footprint? Another great Vi Hart video! and much too smart for four." Federal law ensures all students with disabilities the right to a Free, Appropriate Public Education (FAPE). However, current policies governing a student’s eligibility for services may contribute to the underidentification of gifted children with co-existing disabilities—the Twice-Exceptional... Appropriate best practices for the identification of twice-exceptional learners, maintenance of their civil rights, and provision of FAPE are offered for educators, parents, advocates, and legislators as federal, state, and district laws/policies evolve. Math Dice more arithmetic fun, the closest one wins! Faux-cabulary creative vocabulary at it's funniest! Keesdrow Deluxe The ultimate word seek game! Question: What do you get when you mix a cappella, sock puppets, string theory and Queen? Answer: The geekiest (and astonishingly good, musically speaking) cover of "Bohemian Rhapsody" ever! Bohemian Gravity is the hit song from A Cappella Science, the Physics grad student who brought us Rolling in the Higgs last year. Listen to them both! I can't explain this video. It's about music. And our brains, and our search for patterns. And copyright law. And creativity. And... Just watch it. All of it. June 2013 Envy and Giftedness: Are We Underestimating the Effects of Envy? A Taboo Topic? "If you have a gifted child, keep focused on your child’s needs. Don’t underestimate her ability to “do it on her own.” She needs your guidance. Advocate for her the best you can. If you don’t have a gifted child, please don’t overlook these children. Please don’t tell yourself or others that these kids don’t need us or their schools. They ARE getting left behind and they need our help. They are special kids with special needs. It’s time we all start treating them that way. Every child deserves a quality education. Even the gifted child." For more news, blogs, and timely resources, follow @HoagiesGifted on Twitter, join over 10,000 members of the world-wide gifted community on Hoagies' Gifted Education Page fan page on Facebook, or Carolyn K. on LinkedIn. April 2013 Summer and Saturday Programs! Tons of Summer and Saturday Programs, across the U.S. and internationally! "In K-12 classrooms everywhere are children at risk for being misunderstood, medically mislabeled, and educationally misplaced. Not limited to one gender, race, ethnicity or socioeconomic group, they could be the children of your neighbors, your friends, your siblings, and even yourself. These at-risk children are gifted children. March 2013 Happy 16th Birthday! March 17th, 2013 is Hoagies' Gifted Education Page's 16th Birthday! And we couldn't do it without YOU! Click on Shop Hoagies' Page before you do your online shopping, and click through to any of Hoagies' Page's dozens of affiliate programs. It costs you nothing while you support Hoagies' Gifted Education Page! Gifted Apps for iPad and Android! Nerd Shirts... fun to wear! SENG asks, What resolutions would you want for your gifted kids this year? Here's a top 10 list that we should review with our kids! 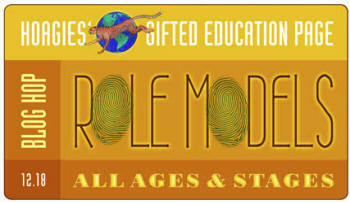 January 2013 Don't Miss... the Best of Hoagies' Gifted Education Page! Why do my child's test scores vary from test to test? "Play Partner" or "Sure Shelter"? Why gifted children prefer older friends..
December 2012 Looking for a good winter's read? Don't Miss ... the Best Links of Hoagies' Gifted Education Page! Follow @HoagiesGifted on Twitter, Hoagies' Gifted Education Page fan page on Facebook, or Carolyn K. on LinkedIn. Different than Hoagies' Page updates, this feed includes timely short articles and links for kids, and brain research and gifted education features for the rest of us! Gamewright brings us Sleeping Queens - complex to get through the first time, but so much fun after that! Grade Levels of Reading Books: How Can You Tell? How Can I Prepare My Child for Testing? What Do the Tests Tell Us? Your 15-year-old follows you outside to talk to you in private, and checks that no one else is around, then starts jumping up and down and screeching! Why? Because it's a few days before she leaves for college, and she just found out that her faculty advisor is also teaching her Calculus III course, AND doing research on P-adic numbers systems!!!! -- Carolyn "what kind of number systems?" K.
A sitter reads a story to your 2-year-old, with the words, "There was a blizzard outside, and it was snowing," and he comments, "That's redundant." Your 18-month-old walks from the garage saying "all done" with a screw driver in hand... and a wheel from the tricycle in the other. (yep! I got pictures and 2 neighbors as witnesses...) And yes, she took it all apart. You are thrilled to discover that you can negotiate with your child at 15 months! Until he starts negotiating back at 18 months. At lunch at a semi-fast-food restaurant, my 14-year-old commented that the new cornbread isn't as good as the old cornbread. I pointed out that it seems to be the same recipe, just a different shape. That's the problem, she pointed out - it's got more surface area but less volume than it used to. And she proceeded to set the volumes equal, and calculate the surface area of the old brick-shaped cornbread vs. the surface area of the new semi-spherical cornbread... Isn't this how all young teens spend their lunch hours?? -- again, Carolyn K.
September 2012 Do you know... Who Am I? Contact Hoagies - comments, questions, suggestions, we love feedback of all kinds! You Know Your Child Is Gifted When...: A Beginner’s Guide to Life on the Bright Side Free e-book from Free Spirit Press! July 2012 Living with Intensity SENGinar series! Gifted kids are passionate... why aren't their reading lists, too? Hot Topics Reading Lists start with the readers' passion... and then offer tons of great reading choices, recommended for gifted kids by gifted kids. Check out Hot Topics for Early Readers, Science Fiction / Fantasy, Biographies, Science, on Being Gifted and Social Stuff and lots more! June 2012 PC Security: Privacy Verizon ISN'T! Do you have a Verizon FIOS network in your house? There are cell phone / tablet apps to "generate" the default key for your house... that is, for someone ELSE to generate the default key that came with your router, and that you're likely USING! The VZ Wi-fi Connect app claims to do just this. It says it cannot generate the key for all Verizon FIOS networks, but we installed it and quickly logged into our neighbor's password protected FIOS network. Privacy GONE. We're off to change our new FIOS network key, by accessing our FIOS Router. Username: admin, password: stamped on your FIOS router. "The inborn traits of gifted children—as natural to them as their eye color—are what make a gifted child…well, gifted. Which is why I am so disturbed with the new definition of giftedness adopted recently by The National Association for Gifted Children (NAGC). Calling it “a bold step” in her 2011 Presidential address to NAGC, Dr. Paula Olszewski-Kubilius presented this new definition..."
April 2012 Epsilon Camp extends to age 11! March 2012 Don't miss Carolyn K. at Epsilon Camp! Summer math camp for Exceptionally and Profoundly Gifted students Epsilon Camp is for 8 to 10-year-olds who like math. It is an intensive student camp & a parent workshop - running in parallel. Epsilon Camp 2012 will be held at Colorado College, Colorado Springs, CO. The two-week camp runs July 29 to August 12. Your 5-year-old comforts you when you've got a cut by saying, "Don't worry, mummy, the platelets will fix that." February 1 "Cluster Grouping: A Paradigm Shift in Gifted Education"
February 8 "Understanding and Supporting the Emotional Aspects of Giftedness"
Hoagies' Gifted Top Toys of 2011! 7 Ate 9 ← Number two seller! Lego Architecture Burj Khalifa Dubai, White House and more! Perplexus and Perplexus Epic ← Number One seller! Rory's Story Cubes ← Great 2e product, too! ThinkFun toys & games: Math Dice, Swish, PathWords, Rush Hour, Gordian's Knot and more! October 2011 Hoagies' Page Needs YOU! BigBrainz Timez Attack a grand adventure game full of math fact practice! Multiplying on Fingers 6x6 through 9x9 on your fingers! The Atlantic: All Work and No Play: Why Your Kids Are More Anxious, Depressed "Play time is in short supply for children these days and the lifelong consequences for developing children can be more serious than many people realize..."
Kaleidoscope Painter A mesmerizing site! Wolfram | Alpha computational search engine... solves anything mathematical! Should we tell them they're gifted? Should we tell them how gifted? Reading Levels of Children's Books: How Can You Tell? September 2011 Resources for Teachers, Counselors, Psychologists, and Administrators of the Gifted! August 2011 PA 501(c)3 Help! Hoagies' Gifted Education Page needs to wade through the 501(c)3 process... and WE NEED YOU! If you have experience with the process or are a non-profit lawyer in PA, please contact Carolyn K.! Wanted! Do you know SEO? Do you care about Hoagies' Gifted Education Page? If you answer "Yes" then WE NEED YOU! Please contact Carolyn K.! Read lots more stories on Success Stories! Raising My Twice-Exceptional Children... Not What I Signed Up For! May 2011 Build your own Gifted Library! Hoagies' Gifted Library contains the greatest new and old books for gifted educators, parents, counselors and psychologists, on topics from parenting to curriculum, social/emotional development to minority gifted, and more! March 2011 Happy 14th Birthday! March 17th, 2011 is Hoagies' Gifted Education Page's 14th Birthday! And we couldn't do it without YOU! Click on Shop Hoagies' Page before you do your online shopping, and click through to any of Hoagies' Page's dozens of affiliate programs. It costs you nothing while you support Hoagies' Gifted Education Page! eGFI – Dream Up the Future engineering Go For It! Explore Aerospace, Civil, Ocean, Agricultural, Mechanical, Nuclear, Mining, Electric and lots more engineering! Discover Engineering water slides to skateboard parks, jet planes to oceanic exploration... with videos, games, and more! How Stuff Works some engineering, some not, ALL fun! NOVA Tech & Engineering Social Robots to Elemental & Chemical Bonds quizzes, the Physics of Stone Arches and more! NOVA is amazing! February 2011 PC Security: Privacy It's YOUR responsibility! Search for your name; talk to private sites to remove your information. Set up Google Alerts on your name, and your spouse and kids names, to see new information as it's posted. Add your home phone number to the national Do Not Call registry. PC Security is serious! Take these steps to protect yourself, and your identity! January 2011 Testing and Assessment: a primer by Carolyn K.
What is Highly Gifted? Exceptionally Gifted? Profoundly Gifted? And What Does It Mean? June 2010 Do you know Hoagies' Kids and Teens? Kids & Teens Links the best sites on the 'net, organized by subject: brain teasers, math, multiplication, science, natural science, for the love of words, physics, programming, space, young kids, more! Hot Topics! Reading Lists organized by passion area first, not your average reading lists! Smart Toys for Gifted Kids (and Adults) family & party games, card games, math games, strategy games, word games, board games, more! June 2010 It's a "must read"... Is It A Cheetah? June 2010 Looking for a good summer read? Did you know? are links to the best internet research and articles on gifted education topics, are links to the most popular books and products for gifted children, their parents and teachers. Don't miss any of these great resources! Don't Miss ... the Best of Hoagies' Gifted Education Page! May 2010 Gifted Support for all! And don't forget to Support Hoagies' Gifted Education Page! May 2010 Hoagies' Gifted Education Page depends on YOU for support! Hoagies' Page accepts no paid advertising. Click HERE before you shop, to send a percentage of your online shopping $ from any of our affiliate programs to support Hoagies' Page... at no cost to you. "I Remember," "Musings on our report card," "Raising Robert,"and "We Call Her Chameleon..."
Read Hoagies' Gifted: Who Am I? Click HERE before you shop, to send a percentage of your sales to support Hoagies' Page. Thanks! Wooden Periodic Table Table and check out the "Hoagies" poster! Attention Teachers! Homogeneous is [not always] a bad word! The doctor tells your 5-year-old she will give him some goop to put in his sore eye, and he says, "Oh, you mean antibiotic ointment." Your almost 6-year-old asks how much longer it will be till we get there and you answer, "we are going 70 miles an hour and it's 30 miles away," and she says, "oh.......27 minutes." I should have known my child was gifted years ago when her teacher complained that she tuned out during class, and seemed to have difficultly focusing on her work. Any parent that hands their 6-year-old a book about ADD/ADHD to read and see if it sound like them, should realize that their child is gifted! Your 7-year-old awakens in the night and you find her devouring the last chapter of the Harry Potter book she started reading earlier that day. Your 5½-year-old daughter announces: “I love you THIS much.” With the backs of her hands together. Does Our Middle School Have ADHD? Diamond Deception and What's Up with the Weather? Ozy and Millie Where did they find 2 gifted kids for this strip? Tons more including Google Chrome browser, Google Calendar, Google SketchUp build 3D models, Google Scholar search scholarly papers, Google Picasa photo manager and editor, and many more! Geocaching the Official Global GPS Cache Hunt Site - check the new wave in scavenger hunting! Fantastic Contraption A fun online physics puzzle game - I can't say it better!, in Physics and Interact! November 2009 Shop Hoagies' Page while you shop! With no product advertising or grants, Hoagies' Page depends on you for its support. You can support Hoagies' Page by making your purchases through our affiliates programs. Click on our links to Amazon, MindWare, Highlights, Barnes & Noble, Discovery Channel Store or dozens of other affiliates before you put your items into your shopping cart. It costs nothing extra, and Hoagies' Page gets a few cents of each purchase. Click on Support Hoagies' Page! for more easy ways to support Hoagies' Gifted Education Page. A September Secret and Do I Stay or Do I Go? The Least-Worst Educational Option and Horizontal "enrichment" vs. vertical "acceleration"
August 2009 PC Security Don't risk your PC and your identity! Running a top-rated anti-virus program like Kaspersky, Avira (free version available! ), AVG (also free version!) or Trend Micro, or are you still running old McAfee, Norton or Norman? Virus definitions AND your virus engine updated daily? Update and run Malwarebytes' and Spybot today? If you can't remember to run it regularly, purchase Malwarebytes' and it will update and run automatically! Windows Defender running on your system, but no other memory-resident anti-spyware programs? The new pop-up windows to infect your PC with malware impressive - have you clicked on any by mistake? When did you last back up your hard drive? Three friends have been attacked by malware this week alone! Follow these PC Security steps to protect your PC, your privacy, and your identity! August 2009 -- collected by Carolyn K.
Visit the Exploratorium for great information and links to live feeds. Totality begins at 20:14 EST this evening, July 21. Also explore past eclipses, investigate eclipse photography, and more. July 2009 The Cheetah is on Twitter! You can read our tweets (this is the new lingo) @HoagiesGifted. Also find other great gifted resources, including @DukeTIP, @NAGCGifted, @joelmcintosh (Prufrock Press), and more. Search on #gifted for topical posts, too. Enjoy! July 2009 -- articles by Carolyn K.
What is Highly Gifted? Exceptionally Gifted? Profoundly Gifted? June 2009 Articles by Carolyn K.
How Can I Choose a School for my Gifted Child? Also visit the 2e: Twice-Exceptional Newsletter blog! Visit the ever-changing list of "Don't Miss!" links. Did you DS take the SB-5 and score a FS 135? Perhaps you suspect his CAPD or NVLD lowered the score? Or maybe you just want to find out more about CTY, TIP or CTD? What's the best strategy for your child: Grouping, DT-PI, Acceleration, or a Magnet school? If your child is Dually Identified, is she covered under IDEA, a 504, IEP, or GIEP? What can I do if I am being bullied? ...and many others, click Gifted Blogs to read them all! Nerd Shirts cool T-shirts and more! Gifts to Share sometimes gifts to share with others are the best gifts of all! Make: Technology on Your Time - Do it yourself technology - wow! Lots of holiday gift ideas, featuring old favorites and great new toys and games that you won't find everywhere else, many from small toy companies! Mathgym! Click on Mathgym Arcade for great interactive games, including Multiplication Invaders! Multiplication: An Adventure in Number Sense there are only about 13 facts that you may want to memorize! September 2008 Full Text Search! Hoagies' Gifted Education Page has a full text search function on every page. Look in the upper right corner of every page, and type the word or phrase you're looking for into the search box. Click "Go" and find all occurrences of that word or term on Hoagies' pages. Just click on the one you're looking for, and Voila -- you've found your answer! Research-based essential information teachers need; definitions; levels and types of giftedness; subjective and objective identification procedures; social and emotional characteristics and needs; underachievement; teaching strategies and methods of curriculum differentiation to enhance the learning in the mainstream classroom; practical strategies for establishment and monitoring of ability, achievement or interest grouping in classes, and the many forms of accelerated progression through schooling. Offered for three instructional ranges; early childhood, primary and secondary grade levels. Don't let the Australian byline distract you; this is international professional development at its best! Giftedness and the Gifted: What's It All About? June 2008 Summer Reading for Teachers and Parents... Gifted Books! May 2008 Support Hoagies' Gifted Education Page! $300 certificates and mailing to the runners-up in our annual Gifted Teacher and Administrator of the Year Contest! $60 shipping for the winners' packages Meet the Winners! Subscribe to What's New on Hoagies' Gifted Education Page? RSS feed Get updates in your RSS Reader each time Hoagies' Gifted Education Page is updated. If you don't already have an RSS Reader, consider or BlogLines. These readers keep track of all your blogs and feeds, and show you what's new since the last time you read each one. May 2008 Share Hoagies' Gifted Education Page! How legitimate is the Flynn effect for the gifted? IQ Subtest Analysis: Clinical Acumen or Clinical Illusion? Special Thanks to our sponsors for the 2007 Contest: Prufrock Press, MindWare, 2e Twice-Exceptional Newsletter, Zome Systems, Zanca, Out of the Box Publishing, Great Potential Press, University of Utah, Division of Family and Consumer Studies and Nathan Levy Associates. Remember to support our sponsors when you do your gifted shopping. Don't forget to nominate your teacher or administrator for the 2008 Gifted Teacher / Administrator of the Year Contest. Please contact Carolyn K. to sponsor our 2008 Contest. You've been told to apply to CTY and DITD for their YS program... confused yet? Did your child take the CogAT, the OLSAT or the WISC-IV? Is your friend telling you about her DD or DS or DH? Does she HTH? Or tell you YMMV? All the Acronyms and Terms you need to know in gifted education! February-March 2008 Other Multiplication Products, sure to help kids learn their facts, using electronic, board and card games, DVDs and audio CDs, and books and software! The 24 Game start with the Add / Subtract Primer or Multiply / Divide Primer versions, then move up to Single Digits and beyond! Motivational Paralysis Use Caveney's flowchart of underachievement to locate yourself in the process, and STOP! Start your shopping here for the best educational products, curriculum, toys, software, books for kids and adults, magazines, journals, "nerd" gear, and more... from all of Hoagies' Gifted Education Page. January 2008 Don't Miss... the Best of Hoagies' Gifted Education Page! Don't Miss... a great place to start your visit to Hoagies' Page. Read the best articles, explore the best links, and find the best academic programs, contests & scholarships, reading lists, humor and more... from the entire site. December 2007 Gifted Teacher and Administrator of the Year Contest! Grammar Snobs Are Great Big Meanies: A Guide to Language for Fun and Spite is just plain fun! Eats, Shoots & Leaves: The Zero Tolerance Approach to Punctuation ...what more can I say? Play Partner or Sure Shelter? Why gifted children prefer older friends..
Creative Home Schooling: A Resource Guide for Smart Families this book is full of good information for both parents and teachers, homeschooling or not! July 2007 Art, Music, and more! Classics / Fiction, Poetry and Vocabulary / But Why?? Political Science and Geography and many more! March 17, 2007 The Cheetah turns 10! Hoagies' Gifted Education Page is 10 years old! Say "Thank you" to Hoagies' Gifted Education Page, by your purchases through Amazon and our other affiliate programs, or by direct donation - just click on Amazon Honor System or PayPal Donate, left. Thanks for helping make Hoagies' Gifted Education Page what it is today! Gifted programs and services: what are the nonnegotiables? February 2007 Kids & Teens Links a great way to spend a winter's day! Economics money, investing, Lemonade stand! Multiplication memorize those pesky facts, for fun! Volunteer! how can you share? Late January 2007 Thanks for your support! Thank you for your purchases through our affiliate programs this holiday season. We appreciate your support! Affiliates (those colorful links on the left of each page) charge you the same prices for their great gifted-friendly products, and give a few cents back to Hoagies' Gifted Education Page for linking them to you. Affiliates $ were down slightly in 2006, while costs are up, so please continue to use the affiliate links on Hoagies' pages before you make your purchases at Amazon, MindWare, and all our other affiliates programs. Thanks! January 2007 Internet Investigations free curriculum on the 'net! January 2007 Hoagies' Page needs YOU! Hoagies' Gifted Education Page is supported by YOU, and you alone. All expenses come from the pennies we receive thanks to your affiliates purchases. But even though Internet shopping is way up this year, Hoagies' Page affiliates $ are way down... Please remember to click on Hoagies' Page first, then click our Amazon link, before you put any items in your shopping cart. I can't do it without YOU! November 2006 How Can You Support Hoagies' Gifted Education Page? Hoagies' Gifted Education Page is a labor of love. However, Hoagies' Page depends on you for funding of physical costs: domains, software, hardware, link-check services, etc. If you like the resources of Hoagies' Gifted Education Page, and want to continue to see new topics, new links, new articles and new research... please click on any our affiliate links (left) before you do your holiday shopping. It costs you nothing, and each affiliate store gives a small percent of your purchase total back to Hoagies' Page. Thank you -- Carolyn K.
Who Are the Gifted Using the New WISC-IV? Winner of the 2006 PAGE Neuber-Pregler Award! Gifted Teacher and Administrator of the Year Contest! The Chaos Which rhymes with enough - Though, through, plough, or dough, or cough? Google Sightseeing "Why bother seeing the world for real?" The world will never be the same! Ozy and Millie Where did they find two gifted kids for this strip?? The Sliding Block Puzzle Page tons of great interactive sliding puzzles! Store Wars Star Wars and Organic Food fans alike will love this! WebSudoku Number puzzle, but no math required... trillions of puzzles! November 2005 Talent Search deadlines loom! What is HG? EG? PG? And What Does It Mean? It's time to sign up for Talent Search testing NOW! Winner of the 2005 NAGC Community Service Award! Free Online K-8, High School and College for Students Displaced by Hurricane Katrina! BeatCalc BeatCalc archives with over 400 math tricks! Even Number proof proof that 1=2, and lots more... can you find the fallacy? World of Escher Learn about Escher's art, plus Penrose's puzzles, and more! Kids' Castle by Smithsonian Magazine, From history to worldwide to air and space to science and beyond, plus something new every day! May 2005 Internet Investigations free curriculum right on the 'net! ThinkQuest! Library Award winning Internet based projects, created by students! More About "Young Entrants to College: How Did They Fare?" Since rescuing ERIC Clearinghouse for Exceptional Children (ERICEC) on January 1 2004, Hoagies' Gifted Education Page has more than doubled in size... and this year's link-check service bill has done the same, now $449/year! Hoagies' Page receives no government or private support for maintaining ERICEC, nor updating its links (nor for anything else). Please support Hoagies' Page through your individual donations, as well as your purchases through our affiliates links, so that I can go on providing the most accurate and up-to-date links on ALL of Hoagies' Gifted Education Pages. Thank you. mid-August Don't Miss! Links to explore, and Magazines to enjoy! mid-August Don't Miss! Books to read, and Games to play! VisualEyes The 'What You See is What You Get' Game! Software Favs that play for more than a day! November 2003 Holiday Shopping - Great Gift Ideas! Nerd Shirts those cool T-shirts and more!